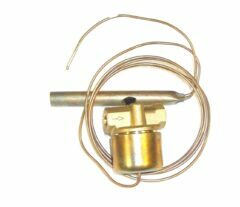 Fire safety valves can be used for a variety of uses and we stock two types, the remote sensing and fusible head type. Remote sensing fire valves consist of a 14mm diameter x 125mm long copper sensing phial connected to a valve body via a 2mm diameter malleable copper capiliary tube. The valves are used to stop oil flow in case of a fire or an overheating situation near to an appliance, they can be ordered with different capilliary lengths from 2.5 to 12 meter and two shut down temperature set points of either 65 or 90 Deg C. The valve bodies have 1/4″ BSP female connections. 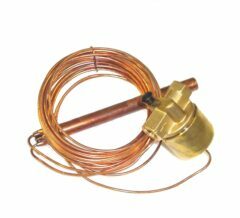 Fusible head valves are held open by a low temperature soldered fuse which rapidly melts closing the valve. The valve bodies have 1/4″ BSP female connections. if you are unsure get in touch.